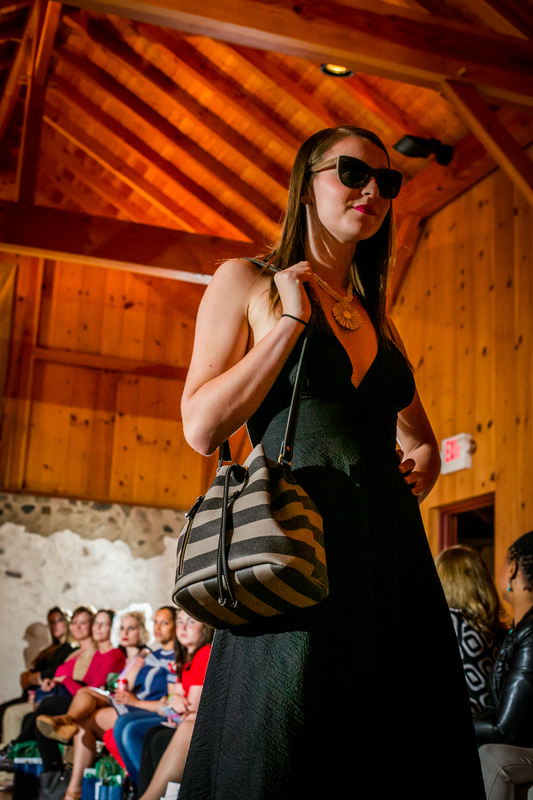 It's Week 3 of #FashionFriday…Our excuse to share some of the fabulous photography from the LILA Fashion International runway show at Main Line Fashion Week! We’re chatting all about fashion, industry trends and offering tips on how to create your own runway-inspired looks…with links to shop similar pieces! How’s that for DIY?! Let’s get started! In last week’s post (view it here! ), we brought out the best in 'urban chic' with a killer combo -- a vegan leather moto vest styled over a black silk romper, topped off with a chunky bauble necklace. This week, we’re heading to the beach, with a breezy halter dress that demands a fanciful, wide-brimmed sunhat, a bucket bag for all the essentials, and sunnies... a summer staple! 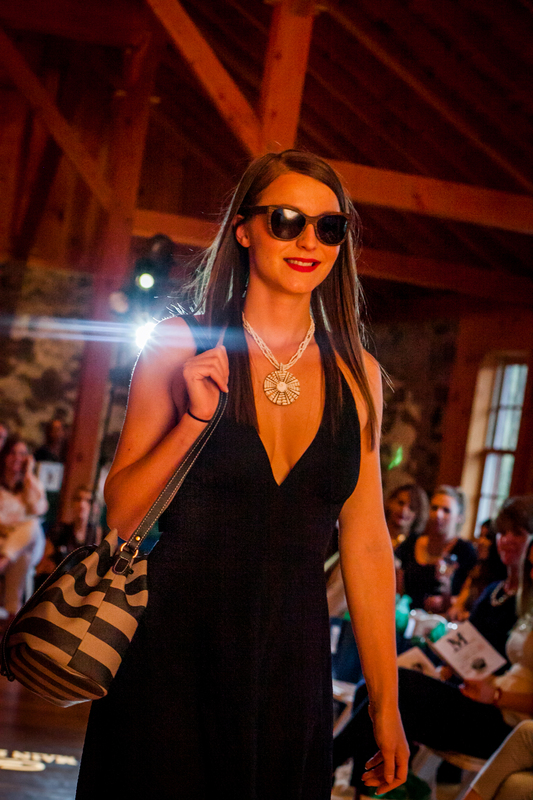 Our LILA fashionista strutted down the runway in a black linen A-Line halter dress and statement seashell necklace, inspired by the breezy island attire of Martha's Vineyard and Cape May - refreshingly simple, yet always polished. For warmer weather days, stay cool with linen or cotton in lighter colors like white or pastel - then try popping those neutrals with a bright sandal or flat. When accessorizing this look, keep it simple. We opted for a striped bucket bag by Greek designer THIROS (a style SERIOUSLY on trend this season! ), as well as a pair wooden sunglasses by Zylo Eyewear, handcrafted with love on the sun-kissed isle of Syros in the Mediterranean. Coveting the THIROS bucket bag and Zylo Eyewear sunnies?! You’re in luck… they're coming soon to LILA Fashion International! Check in with us next Friday for Week 3 of #FashionFriday, and for the next few weeks as we share spectacular photography from Main Line Fashion Week, spotlight each of our looks and share links to purchase similar runway inspired finds. Until then, stay as fabulous as you are!